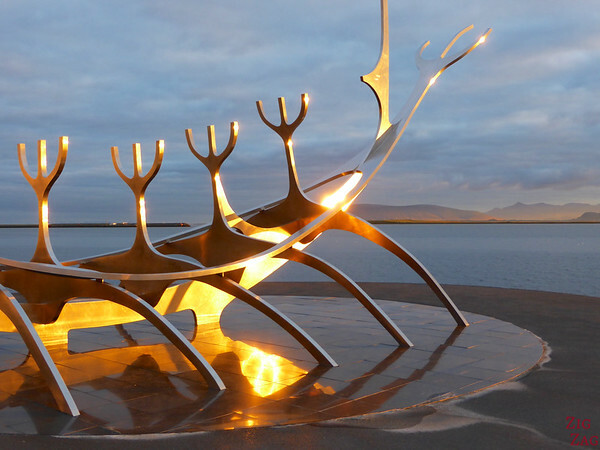 If you are looking for what to do and see in Reykjavik, in other words a nice city guide, continue reading and you will be… disappointed. 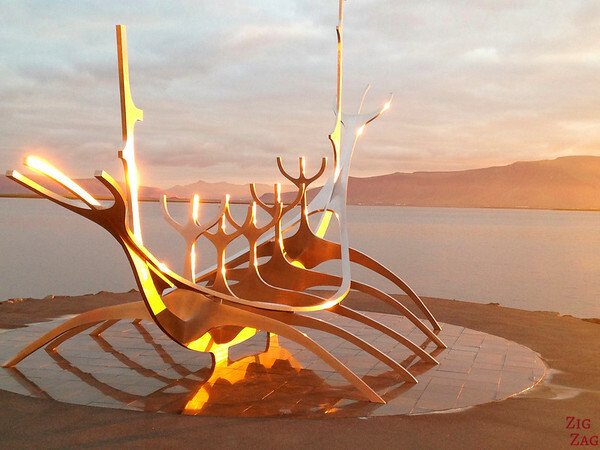 Unless you are reading this post because you are looking for sunrise pictures of the Sun voyager, and in that case Bingo! I am not a city person. This has been established. But this time I took it to the extreme! I took my holidays in Iceland dreaming of big spaces, breathtaking nature and almost nobody around. And Iceland was all I was hoping for, except Reykjavik which was way bigger than what I expected. I spent a total of 3 nights in the city but only for sleeping and one sunrise before hitting the road. It is not that I do not like cities, it is just that I love nature so much that the first thing I want is to get out of the city. So today I am sharing with you my photos from the sunrise at the Sun voyager and a note about one the the place I stayed in. 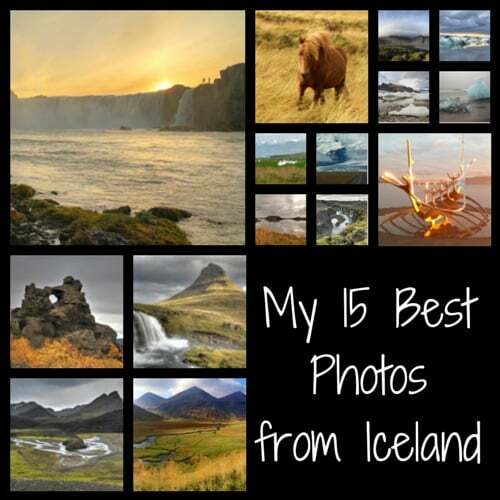 And to help you plan your visit to Reykjavik I have selected some other blog posts that I found informative. 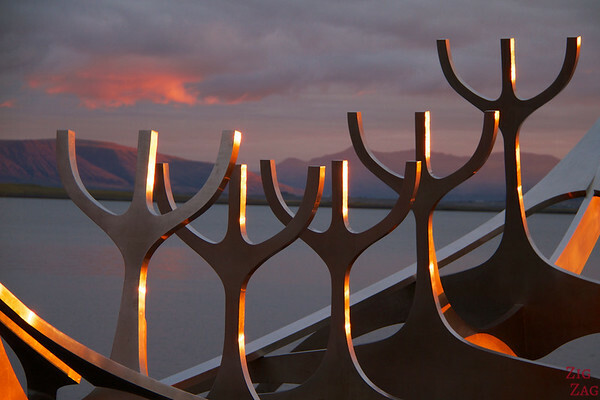 The only thing I really saw of Reykjavik was the famous outdoor aluminium sculpture The Sun Voyager. It is a dream boat and an ode to the sun. To find out more about the Sun Voyager sculpture you can refer to Wikipedia where there is a very interesting write up behind the sculpture and its creator. Not the viking ship everyone assumes! It is a nice place to be for sunrise as the sun reflects on it. The only thing I can recommend in Reykjavik is the Reykjavík Treasure B&B where I stayed in one night. I booked it on Booking.com as the reviews were excellent and I loved it for the few hours I stayed in. It is very well located in the city center, just a little hidden in a small street. The room was adorable and clean, the bed comfortable and the owner very nice and well organized. Sorry I cannot be more useful this time. What fantastic photography – love the idea of focusing on just one thing that represents a place, whether by choice or design. 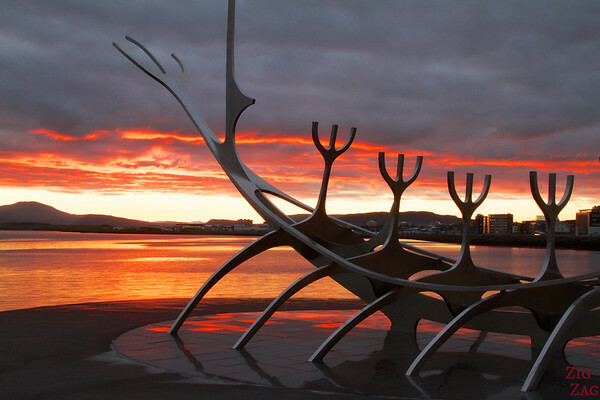 Reykjavik is a charmingly quirky city and thanks for including my article on walking round it. Hope you get to see more another time. Thanks Zoe. I will definitively go back to discover other parts of Iceland. So when it happens, I will try to check out a little bit more of the city. Great shots! Thanks for including us. Thanks Lance. Always happy to link to useful articles.